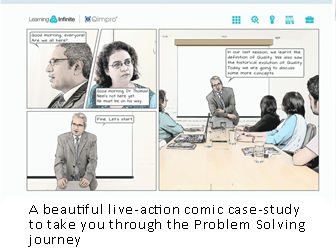 Problem Solving today is one of the most sought after skills in industry. Effective problem solving requires two sub-skills - structured thinking of a proven methodology; as well as appropriate application of quality and creativity tools. Tangible and intangible results follow with diligent application of both these sub-skills. This gap between structured and ad hoc Problem Solving gives rise to inefficient processes, colossal waste and an under utilized workforce. 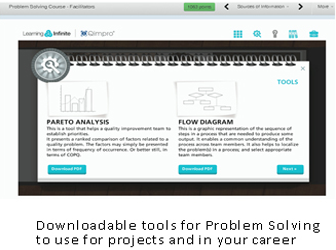 Problem Solving Pro is a digital course that prepares professionals to solve chronic problems that erode the performance of an organization. It also prepares these professionals to function as effective members of project teams and to disseminate a culture of Quality Improvement. Please click here to download the workbook. We recommend you populate it as you navigate through the course.